Yogesh Vohra, professor of physics at the University of Alabama at Birmingham. Photo: UAB. Physicists at the University of Alabama at Birmingham (UAB) have taken the first step in a five-year effort to create novel compounds that surpass diamonds in heat resistance and nearly rival them in hardness. They are supported by a $20 million award from the US National Science Foundation to create new materials and improve technologies using the fourth state of matter – plasma. Unlike the other three states of matter – solid, liquid and gas – plasma does not exist naturally on Earth, but can be made by ionizing neutral gases via heating. In the lab, Yogesh Vohra, a professor and university scholar in the UAB Department of Physics, uses plasma to create thin diamond films. Such films have many potential uses, such as coatings to make artificial joints long-lasting or to maintain the sharpness of cutting tools, sensors for extreme environments and new super-hard materials. To make a diamond film, Vohra and his colleagues stream a mix of gases, including carbon-containing gases such as methane, into a vacuum chamber, heating them with microwaves to create the plasma. The low pressure in the chamber is equivalent to the atmosphere 14 miles above the Earth's surface. After four hours, the plasma has deposited the carbon as a thin diamond film. Vohra and colleagues in the UAB College of Arts and Sciences have now investigated how adding boron while making a diamond film changes the properties of the diamond material. They report their findings in a paper in Materials. They already knew that a mix of methane and hydrogen produces a microcrystalline diamond film made up of many tiny diamond crystals that average about 800nm in size. Adding nitrogen to the mix produces nanostructured diamond, made up of extremely tiny diamond crystals averaging just 60nm in size. In the present study, the Vohra team added boron, in the form of diborane (B2H6), to the hydrogen/methane/nitrogen feed gas, which produced surprising results. The grain size in the diamond film abruptly increased from the 60nm, nanostructured size seen with the hydrogen/methane/nitrogen feed gas to an 800nm, microcrystalline size. Furthermore, this change occurred with just tiny amounts of diborane, only 170 parts per million in the plasma. Using optical emission spectroscopy and varying the amounts of diborane in the feed gas, Vohra's group found that the diborane decreases the number of carbon-nitrogen radicals in the plasma. Thus, Vohra said, "our study has clearly identified the role of carbon-nitrogen species in the synthesis of nanostructured diamond and suppression of carbon-nitrogen species by addition of boron to the plasma." Since adding boron can also change the diamond film from a non-conductor to a semiconductor, the UAB results offer a new way to control both the grain size and electrical properties of the film, which could prove useful for various applications. 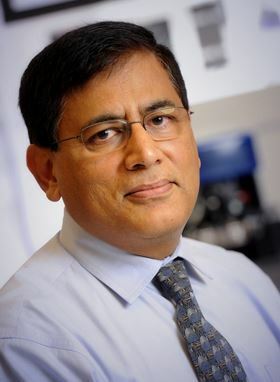 Over the next few years, Vohra and his colleagues plan to explore using this microwave plasma chemical vapor deposition process to make thin films of boron carbides, boron nitrides and carbon-boron-nitrogen compounds. Their aim is to produce compounds that withstand heat better than diamonds but retain a diamond-like hardness. This story is adapted from material from the University of Alabama at Birmingham, with editorial changes made by Materials Today. The views expressed in this article do not necessarily represent those of Elsevier. Link to original source.